HeartSine co-founder Professor John Anderson (M.Phil., Ph.D. Medical Engineering) was for many years a key member of the Board of Directors and our Chief Technical Officer. 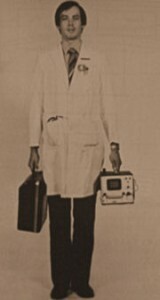 In the 1960s, Anderson was approached to start the biomedical engineering group at the Royal Victoria Hospital and headed the effort to produce the world’s first mobile defibrillator to bring the expertise of the hospital to the patient to improve outcomes. The result changed the way emergency care is delivered globally, a legacy which endures to this day. Under the medical direction of Dr. Frank Pantridge and Dr. Geddes, the Royal Victoria Hospital-Belfast (RVH) launches the world’s first mobile coronary care unit which utilizes the world’s first portable defibrillator. The world’s first Mobile Coronary Care unit is born. At 110 pounds, the portable defibrillator is difficult to move and cumbersome to operate. However, significant improvements to outcomes of sudden cardiac arrest patients are soon observed as management of heart attacks outside the hospital is now possible. It soon became obvious, however, that lightweight, battery-operated defibrillators are urgently required if mobile coronary care is to become more widespread. Professor John Anderson, who later co-founded HeartSine, joins the RVH team. Anderson works in close association with American Optical, an American company, to develop the world’s first truly portable, battery operated defibrillator, weighing 44 pounds–under half the weight of the earlier inverter units. 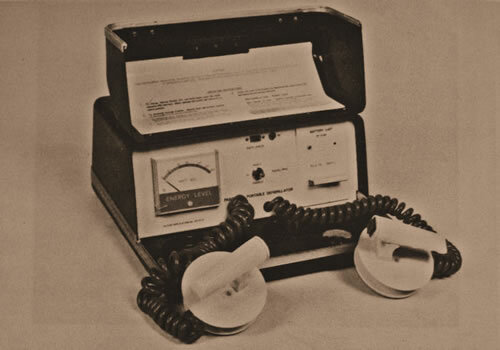 With material advances to reduce weight, other technologies were being incorporated into defibrillators to deliver efficacious shock therapy at reduced energies. This serves to further reduce weight without compromising effectiveness. Anderson et. al. developed a new waveform introduced with the Pantridge Portable 15 defibrillator – a unit that weighed just 15 lbs. This device features rechargeable NiCad batteries, which can deliver upwards of 70 shocks. This reliable instrument becomes the standard of care for mobile units until 1974. John Anderson’s team now addresses a new challenge – to provide mobile continuous ECG monitoring until patient arrival at the hospital, and to provide an event record for review. As a result, a new, fully integrated unit, featuring ECG display and event recording, is developed. This device weighs approximately 12 pounds. The system, known as CORA (Combined Oscilloscope & Recording Apparatus) is the first mobile system also to incorporate a speech channel track for rescuers to record comments, drug information, patient information, etc. A new “fast-scan” system also is incorporated enabling a two-hour patient record to be scanned in five minutes. The three main advantage of this system are: lightweight, continuous recording and reusable tapes. Further material advances allow for a dramatic reduction in weight, and the first truly lightweight portable defibrillator for emergency services is developed. Designed to specifications developed and prototyped at the Royal Victoria Hospital Belfast, this unit weighs approximately 7.5 pounds, significantly lighter than anything else available in the world. Six hundred units were sold in the United States alone. Professor Anderson is shown here with an early lightweight system developed in Belfast. The concept of telephone-controlled defibrillation is suggested in the early 1980s (Buessman, 1982). The technology is progressing toward systems that are available for automatic external use in public areas. 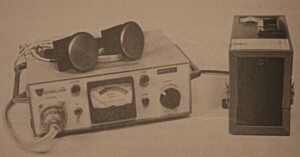 The current device enables users to connect patients to electrodes that are monitored by clinical experts at a base station through a regular telephone line. The Belfast experience, as it came to be known, became an emergency care model that was quickly adopted throughout the western world. 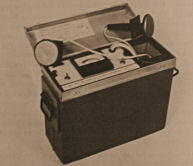 Mobile coronary units are modeled on the Belfast plan, and first adapted for use throughout many countries. 1980 Anderson files one of the first patents for automatic recognition of ventricular fibrillation. This algorithm, at the core of every AED in the industry today, provides the sensitivity and specificity necessary for the development of the first AEDs. 1981 The first AED is developed in Northern Ireland. The unit includes a flat screen display, read out and recording facilities. While lightweight defibrillators provide the type of instruments required by medical personnel, there is a clear need to develop defibrillators that non-professional users with minimal training could use to save lives. John Anderson founds HeartSine in conjunction with a group of investors to further the development of portable cardiac defibrillators based on his early Belfast experience. 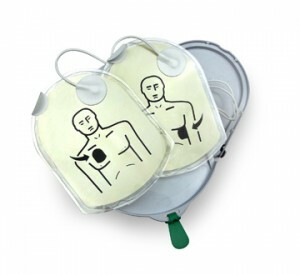 HeartSine addresses the growing need for easy-to-use products for public access defibrillation. Since professional responders are experiencing improvements in outcomes, a natural progression is to make these instruments easier to operate for laypersons with only basic training. Today, these units are becoming commonplace in shopping centers, airports, gyms and health clubs, schools, and many other public access areas. HeartSine develops the first samaritan AED. This device is a lightweight unit with smart battery technology, large screen display for ECG trace and graphic (with written) instructions and utilizes new SCOPE waveform technology. Audible prompts coach users in proper operation of the unit. HeartSine unveils the samaritan PAD, Public Access Defibrillator. The latest in the evolution of portable defibrillation, the samaritan PAD unit has been improved in function and reduced in weight to less than 2 lbs. (with battery, 2.4 lbs.) and utilizes sophisticated algorithms designed to automatically sense patient heart rhythms and to apply a shock only when necessary. It also prompts users during the rescue process – both audibly and visually–improves ergonomics, with only two buttons, On/Off and Shock, and three icons which illuminate to provide visual instruction. The device utilizes a revolutionary concept in design, in which the battery and electrode pads are contained in a single cartridge, or Pad-Pak, with only one expiration date for users to monitor. Recognizing the importance of CPR with AED use, the samaritan PAD provides rate coaching for chest compressions – both audibly and visually for support in loud environments. HeartSine launches the samaritan PAD 300P, with both adult and pediatric capabilities. 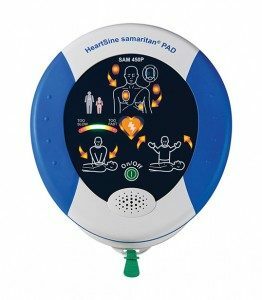 HeartSine launches the HeartSine samaritan PDU 400, a smaller, lighter, disposable AED with a high IP rating, low-energy waveform and a VT detection algorithm. HeartSine leads the industry by introducing an unrivalled 10 year product warranty, making the samaritan PAD the most supported AED on the market. HeartSine continues its legacy of innovation unveiling the PAD 500P with ICG based CPR Advisor for international markets. This device uses an Impedance Cardiogram (ICG) to determine if CPR is being applied hard enough and at the correct rate. The battery capability of the innovative Pad-Pak is improved, extending its life and standard warranty to four years. HeartSine launches the samaritan PAD 350P, continuing its line of highly durable and clinically advanced AED products. 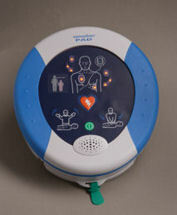 HeartSine unveils the samaritan PAD 360P, the company’s new fully automatic AED. 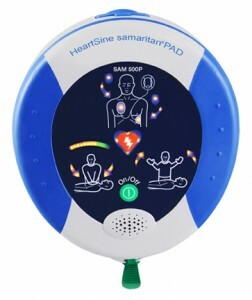 HeartSine introduces the HeartSine samaritan PAD 450P, featuring CPR Rate Advisor, which provides real-time visual and audible feedback to the rescuer on the rate of CPR compressions during an SCA resuscitation to accompany the rescuer right through the chain of survival. 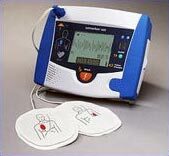 HeartSine is acquired by Physio-Control, resulting in the most robust AED product portfolio on the market.